Has the gospel been “preached to all nations”? Has the gospel been preached to all nations? I think there is general agreement on terms. Preaching the gospel can be verbal and does not require the Bible to be published in every language and dialect. Mark 13:10 was a command to the apostles decades before the gospel first appeared in written form. The apostles did not understand this command to mean 'published', or they would have rushed out and written a gospel immediately. 'Nations' is to be read as understood in the first century: as ethnic groups, not as political entities, and presumably not as individual towns or local communities. Colossians 1:23 says the gospel has been preached all over the world, to everyone under heaven, but clearly this was not yet true, because the author of Colossians was only aware of the Mediterranean/Near Eastern world. The author of Colossians tells us that the gospel had been preached to all nations within that geographically limited world, so his is the meaning I would use for 'preach'. The Joshua Project shows numerous communities as 'unreached' even in Europe, United States and Australia (including two of Australia's biggest cities). The Joshua Project definition of unreached can not mean that there are so many places where the gospel has never been preached, even if only on a street corner or in a house. The International Mission Board estimates are likewise measures of success, not of preaching. I do not see in Jesus' statement in Mark 13:10, a command to the apostles to preach to all nations, that the gospel must be accepted and believed by a substantial proportion of each ethnic group. It seems that Jesus' command is fulfilled by having preached the gospel, even if people choose not to believe. Colossians tells us that the gospel had been preached all over the Mediterranean/Near Eastern world by around the middle of the first century, although we know the great majority of people had never personally heard the gospel. By the same standard, the gospel has now been preached all over the entire world. The word translated 'nations' is ἔθνος (ethnos), from which we derive the word 'ethnic'. It is talking about ethnic communities, which we might call people groups today, not political states. The Joshua Project estimates that there are 16,825 people groups in the word. Of those, 7,287 are unreached, by which they mean "less than 2% Evangelical Christian and less than 5% Christian Adherents". Because there are so few Christians in an unreached people group they will struggle to evangelise their own group with the gospel, which means many Christians believe they need outside missionary help. This represents 2.91 billion people. The International Mission Board estimates there are 2,945 unengaged people groups. An unengaged people group is one where there are no Christian in the group, and no plan for anyone to take the gospel to them. They estimate there are over 190 million people in unengaged people groups. At least, if you choose to believe it was fulfilled, you have a biblical justification for doing so. That will be the final and total evangelization of the world, miraculously proclaimed from heaven. After that proclamation man's day will be finished [...] and his opportunity for salvation will be over. While word translated 'nations' is ἔθνος (ethnos) is the word from which we derive the word 'ethnic', according to the Greek-English Lexicon of the New Testament and Other Early Christian Literature, this word is defined as "body of persons united by kinship, culture, and common traditions", the Lexicon tells us it should be translated as Nation or People in this context (it can also be translated as Gentiles) and the majority of the translations cited are "Nation". Strong's Concordance agrees and records that this word is translated as "nation" or "nations" 67 times and "people" or "pagans" only 3 times. Operating under the assumption that the translators knew what they were doing and translated this correctly, yes - the Gospel has been preached to every nation. The film has been seen in every country of the world and translated into hundreds of languages since its initial release in 1979. Through use by The JESUS Film Project, and more than 1,500 Christian agencies, this powerful film has had several billion viewings worldwide since 1979. On top of that, the great majority of those heard the story of Jesus in a language they easily understand. As a result, more than More than 200 million people have indicated decisions to accept Christ as their personal Savior and Lord. This film depicts the life, ministry and death of Jesus - the Gospel. According to the project, the film is available in 1390 languages (currently) with more added every year. A complete list can be found here. Because the film has been shown in every country in the world, the Gospel has therefore been preached to every nation. One valid translation of this word is "Gentile" and Strong's Concordance records that it is translated this way in 93 of 163 appearances. Threfore, this word should more likely be translated as Gentile. Since the Gospel has not been preached to every Gentile, the requirement of Mark 13:10 has not been filled. Before even trying to unravel the mystery behind Jesus statement in Mark 13:10 we need to first determine just what and who Jesus meant. The two key words here are published and nations. 10 καὶ εἰς πάντα τὰ ἔθνη δεῖ πρῶτον ι κηρυχθῆνα τὸ εὐαγγέλιον. Since Jesus spoke Aramaic and the Gospels were written in Greek we can not know for certainty these are accurate meanings, but since Greek is a verb oriented language, the meanings must be very near exact. So We can say with assurance that what Jesus was saying is that the Gospel must be proclaimed to all tribes, which also would be all languages. So how many languages are there? Ethnologue (published by SIL International), whose detailed classified list as of 2009 included 6,909 distinct languages. Much pioneering work in documenting the languages of the world has been done by missionary organizations (such as the Summer Institute of Linguistics, now known as SIL International) with an interest in translating the Christian Bible. As of 2009, at least a portion of the bible had been translated into 2,508 different languages, still a long way short of full coverage. I may be wrong, but as I see it that Scripture will be fulfilled when the Bible is translated into all those languages and presented to them. Much translation has been done since 2009, but I am unsure how many are left to be translated and published. This Good News is present with you now. It is producing results and spreading all over the world as it did among you from the first day you heard it. Not all Christians agree on what it means to "preach the Gospel." It is an opinion - I am not sure whether dogma - within the Orthodox Church that the the Gospel can be proclaimed only by the Church and not by heretical sects, since otherwise not the true Gospel (capital "G") would be preached, but rather some other "gospel" (viz. Galatians 1:8, 2 Corinthians 11:14). Therefore, the opinion is that those who receive the Gospel only properly receive it when it is preached to them by the Orthodox Church. Since Eastern Orthodoxy has not yet reached the entire world, it follows from the above opinion that the Gospel has not, in fact, been preached to all nations. Not the answer you're looking for? 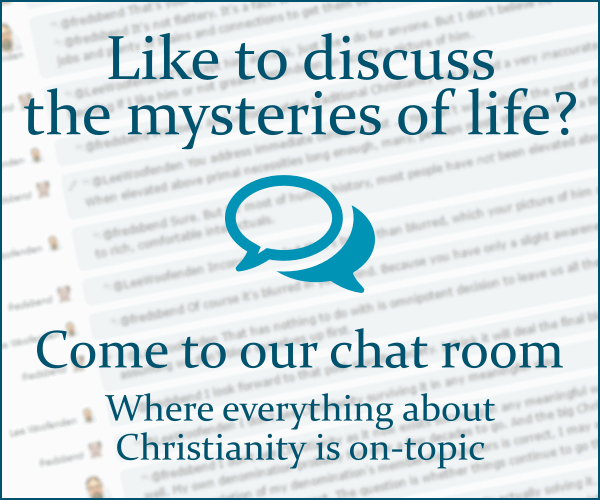 Browse other questions tagged gospel-of-mark global-christianity missions gospel great-commission or ask your own question. Is there a projection of when Bible translation into all the languages of the world will be complete? What is the basis for arguing that the gospel has already been preached to “all nations”? What does it mean to “flee to the mountains” as writen in Mark? Mark 10:29-30 vs Matthew 19:28-29: when will we receive our reward? What is the ‘Gospel of the Grace of God’? Is this quote actually in the Gospel of Mark? If Christ has all power to perform miracles, how is that that “he could there do no mighty work” save that He healed a few?